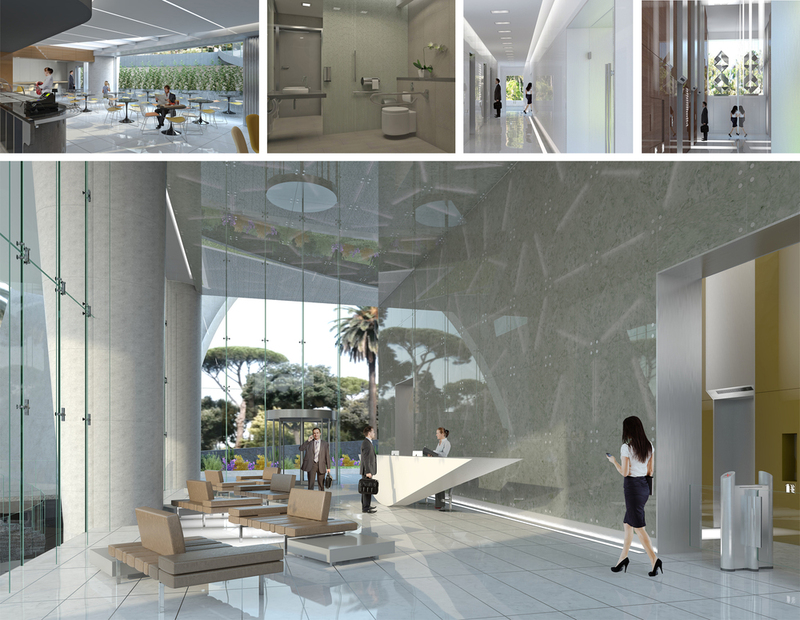 The Oval is a new office design which aims to be an instantly recognisable landmark in the heart of the vibrant business district of Limassol, Cyprus’ most dynamic city. This sustainable proposal has been granted planning permission. 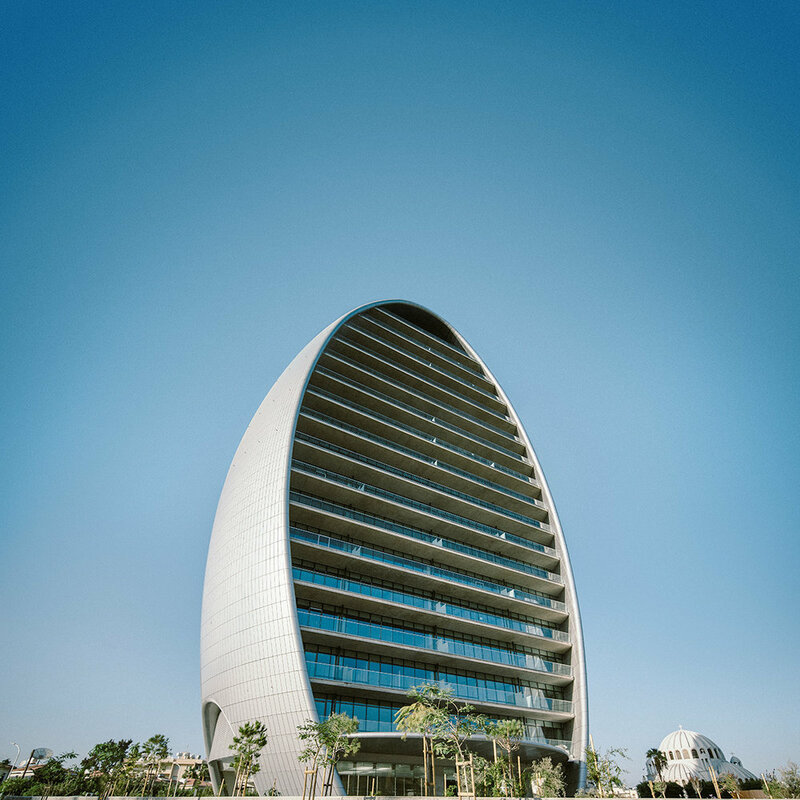 Its distinctive shape is inspired by the round pebbles on the Limassol shoreline, and contrasts sharply with the cityscape to stand out as a unique office address. As with all WKK projects, The Oval takes into account the local climate, the environment and future market needs. It allows for optimum use of space and a number of different office configurations, offering a practical and cost efficient business environment. All office units are arranged to maximise the sea views, while the layout also aims to make best use of natural daylight and cross ventilation. The building’s external envelope acts as a major component of the climate control system, helping to reduce solar gain and provide comfortable and environmentally friendly working conditions. The south facing verandas at each floor level provide sufficient shading to minimise heat gain. 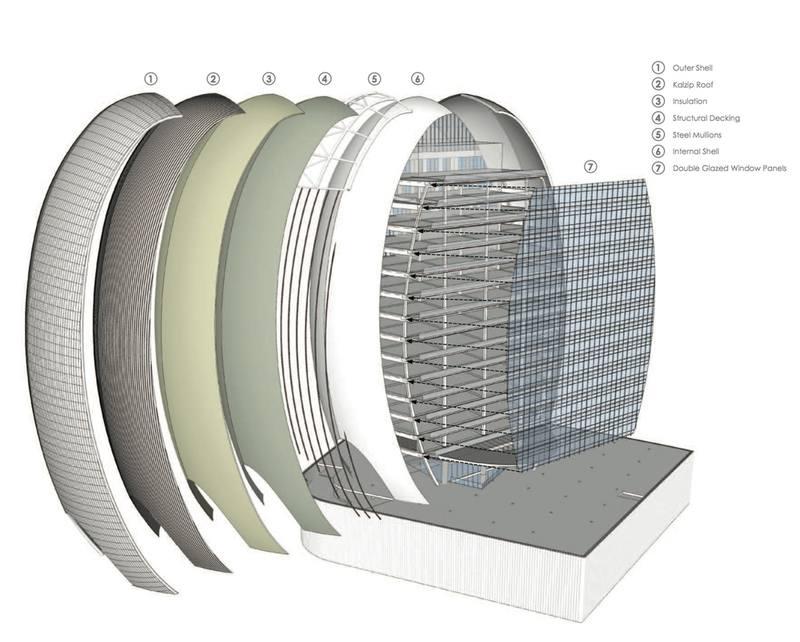 Eastern and western facades are protected by a conventional rain screen cladding system. 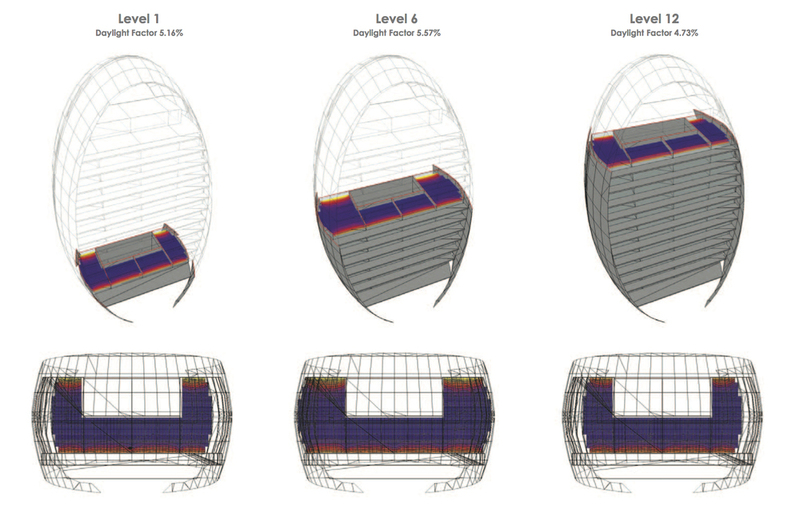 A parametric computer programme has been used to optimise the layout of the curved facade to minimise the number of different shaped panels. The unique combination of open garden space and private workplace within the development will encourage the office staff to relax, collaborate and enjoy a healthy social life.